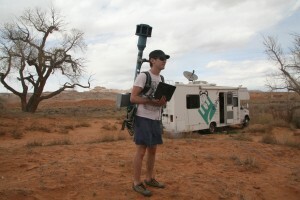 Elphel will present Eyesis4Pi – high resolution full sphere stereophotogrammetric camera at SIGGRAPH 2012, together with it’s calibration machine. We will demonstrate full calibration process to compensate for optical aberrations, allowing to preserve full sensor resolution over the camera FOV, and distortions – for precise pixel-mapping for photogrammetry and 3D reconstruction. All Elphel camera users are welcome, current and prospective, as well as parties interested in Eyesis4Pi. 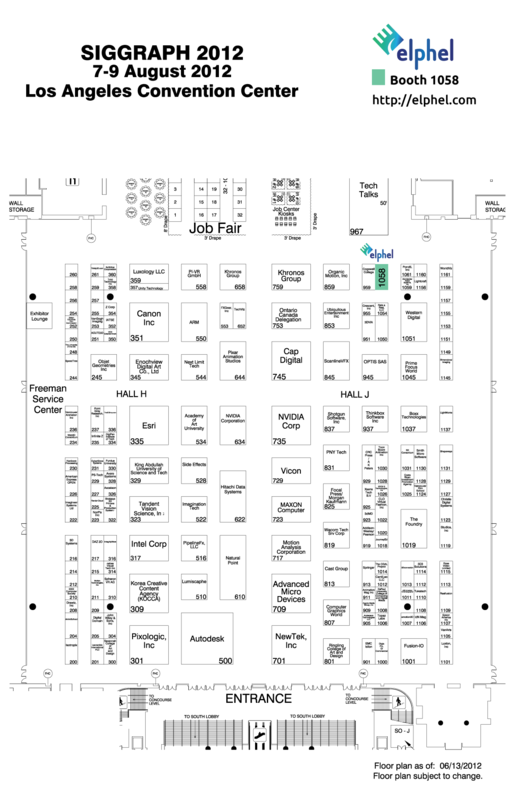 Here (booth 1058 – see plan) you can talk to the camera developers, see the calibration process and touch the actual working hardware. There is a number of passes available for exhibition only. Please contact Olga Filippova if you would like to receive one. It has been a long while since my last blog entry in regards to river view panoramas. In the meantime the recording setup runs basically stable (putting aside minor problems with loose connectors) even under rough conditions (see also the gallery “Making Of” at the end of this post). 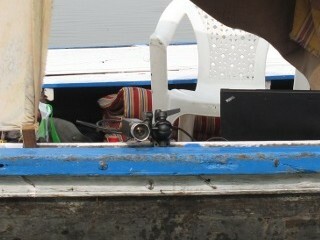 I just came back from artist-in-residency stays in Varanasi/Benares and Guwahati in India, that enabled me to have a few extensive recording sessions on various vessels like house boats, motor and rowing boats on Ganges River – for one the most sacred river to Hindus and probably most worshipped river on the planet, next to being one of the most polluted rivers of the world – and Brahmaputra River in Assam. For almost 3 years we had a possibility to geo-tag the images and video using external GPS and optional accelerometer/compass module that can be mounted inside the camera. Information from the both sensors is included in the Exif headers of the images and video frames. The raw magnetometer and accelerometer data stored at the image frame rate has limited value, it needs to be sampled and processed at high rate to be useful for the orientation tracking , and for tracking position it has to be combined with the GPS measurements. Tacking high-resolution panoramic images in the remote places, that can only be accessed by feet is an option now available with the Elphel-Eyesis 360 degree panorama camera. The camera’s size (1.3 x 0.3 meters) and relatively light weight (10kgs) allow to mount it on a backpack frame and carry by a person. There were multiple requests for the backpack option by our customers since the development of Elphel-Eyesis camera, but other projects were of higher priority, until this spring, when we finally decided it was time to take Eyesis hiking. After all, we have worked hard on this project for many months, so we ought to have some fun with it too, and take panorama images of the places we knew and enjoyed for it’s scenery. 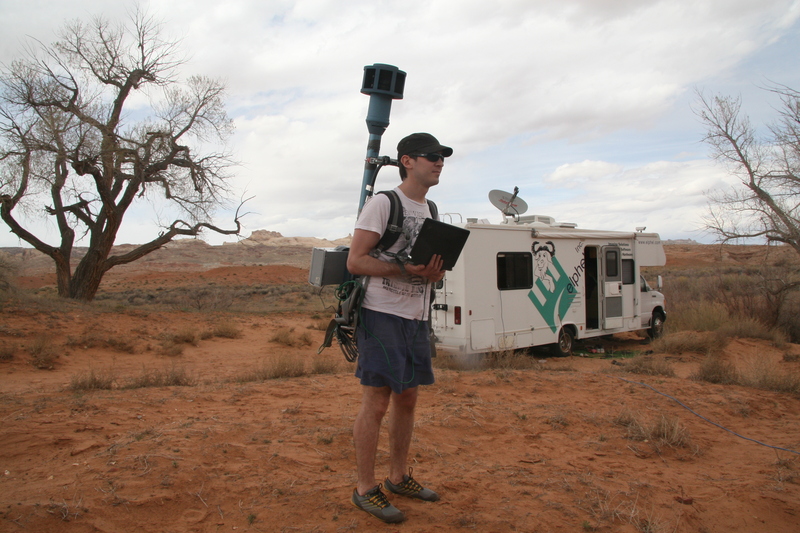 On April 19th, 2011, we took the Elphel mobile office to camp for 5 days in Southern Utah near the Goblin Valley State Park to try out Eyesis in beautiful places not yet available in continuous panoramic imagery, mainly because of their inaccessibility for car, ATV, or even a tricycle. Hiking with Eyesis in the backpack (30 lbs/14 kg total weight with the battery pack) allows us to capture a continuous stream of geotagged (GPS) 360° panoramic images. With the current battery pack (just a regular UPS with lead battery) we can take up to one hour and forty minutes of footage at a rate of 5 frames per second. 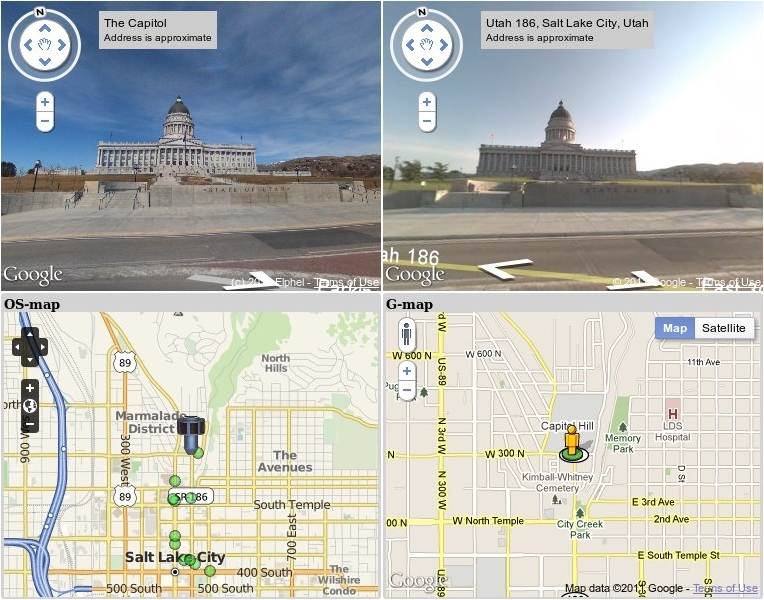 UPD: Google has updated their Salt Lake City images in their StreetView – so, the comparison is better now. Works in Firefox 4.0 and Chrome. Does NOT work in Firefox 3.6.X. The above sample shows how custom panoramas (in our case: a panorama we shot with our Elphel Eyesis) can be integrated in a custom StreetView. Elphel Eyesis images is the top-left window. 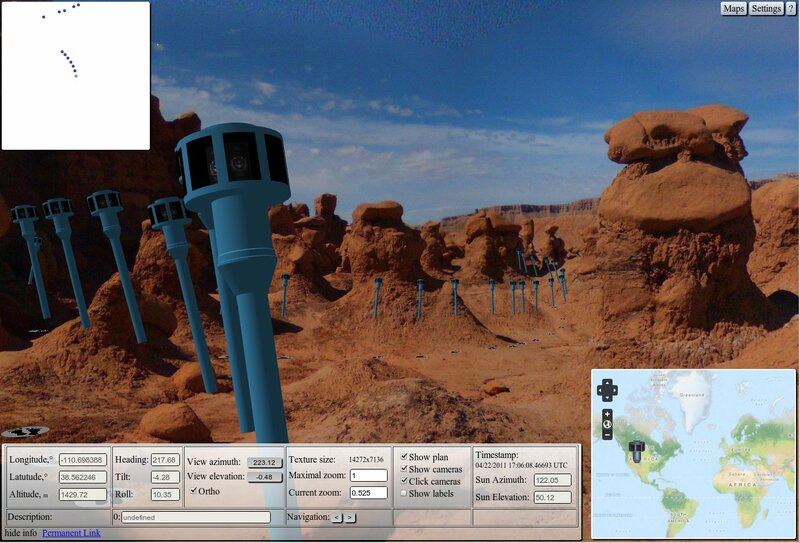 The top-right window is the current (lower resolution) official Google Street View in Salt Lake City supposedly made by the 2nd or 3rd generation of GSV cameras. The Open Street Map is for switching between the available panorama points and the Google Map with a pegman is filling the otherwise unused space at the same time generously showing the view direction. Most of the last year we spent developing Eyesis panoramic cameras, designing and then assembling the hardware, working on the software for image acquisition and processing. It was and continues to be a very interesting project, we had to confront multiple technical challenges, come up with the solutions we never tried before at Elphel – many of these efforts are documented in this blog. We had built and shipped to the customers several Eyesis cameras, leaving one for ourselves, so we can use it for development of the new code and testing performance of the camera as a whole and the individual components. Most things worked as we wanted them to, but after building and operating the first revision of Eyesis we understood that some parts should be made differently.